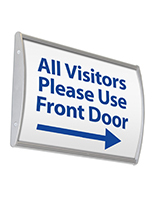 Why do clients, guests and other visitors appreciate this professional wayfinding signs? 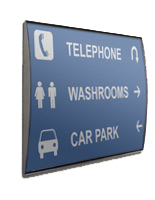 The wall mounted directional signage provides the information necessary to guide lost patrons to the desired destination. 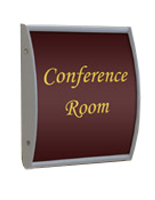 Businesses of any size can assist customers find the correct department, room or other area with the office door displays. 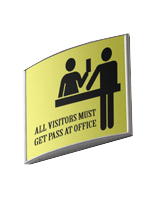 Large facilities, complexes and stores utilize direction systems to prevent patrons from undergoing the uncomfortable feeling of becoming lost. 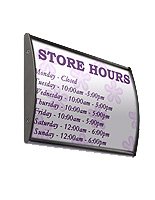 Small establishments can also implement wall mounted directional signage to inform consumers about company policies or operations. 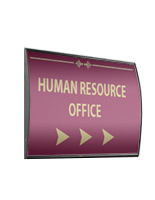 Office door displays are available in many different sizes and styles to accommodate the message without taking up too much space. 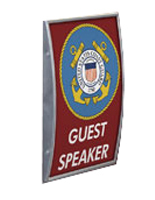 These wall mounted wayfinding signs manufactured out of plastic or aluminum, commonly referred to as directional frames, require only a few moments to install. 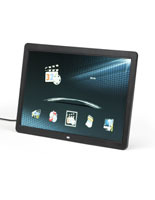 All of the hardware necessary for setup comes with the designs, so users can quickly affix the information to the display surface. 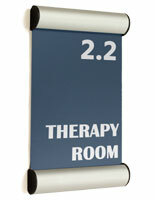 Directional systems come in neutral colors to blend in nicely with the wood, paint or wallpaper. 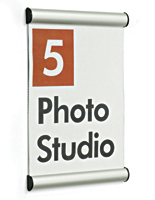 This wayfinding signage serve as office door displays available with a transparent, black or silver finish to complement the contents and the rest of the décor. 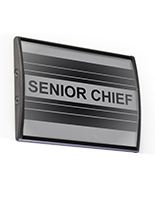 Each of the directional frames makes it easy for managers to quickly load new information and remove the no longer useful notices. 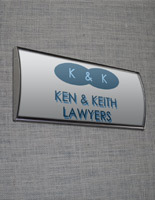 All models include a non-glare overlay that prevents glare from inhibiting the legibility of the directions. 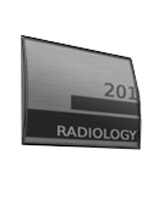 The signs may be installed in vertical or horizontal orientation to best present the content. 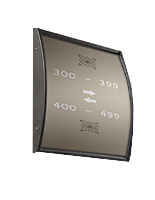 The directional frames feature curved faces to attract more attention. 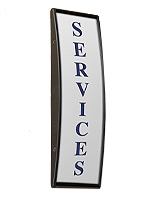 Wholesale signs improve the overall customer experience in the establishment because the messages help patrons go wherever necessary. 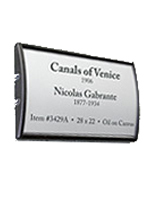 Purchasing these frames in bulk provides volume discounting for any business. 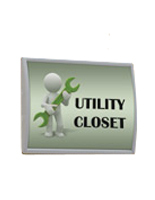 Simply view the price break grid on the right side of every product page to see the savings when buying large quantities. 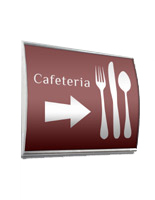 What types of establishments install these directional frames on walls or doors? 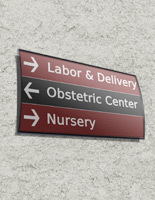 Wayfinding signs are most commonly found in big complexes with many businesses or rooms. 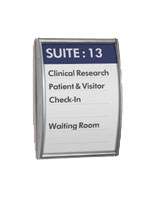 Patrons searching through the halls for the correct hospital room, law practice or other company in a large facility can easily be led to correct space. 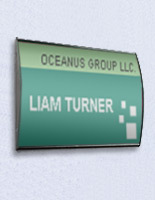 Within single company buildings, many executives use the office door displays to demarcate their professional space. 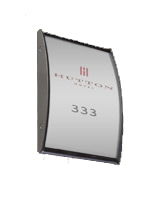 Hotels and other organizations with rooms designated for large parties can post important information using the metal or plastic holder. 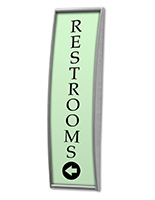 Indicate where the nearest exits, bathrooms or fire extinguishers are located in the establishment. 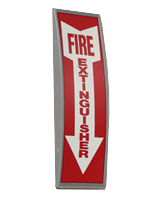 The wall mounted directional signage could prove vital in an emergency situation. 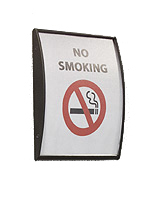 Retail stores, restaurants or clubs implement the systems to inform members and patrons about regulations. 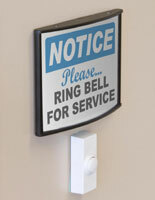 Return policies, cautionary warnings and other notices may be installed on any wall or door in the facility. 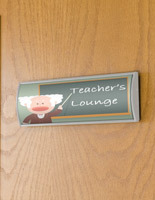 They are also great choices for listing hours of operation near the entranceway. 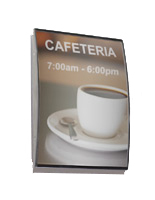 Wayfinding posters are very easy to setup on almost any non-porous surface. 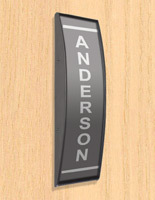 Each of the wall mounted office door displays comes with double sided tape for adhering to the back of the framing. 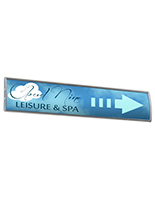 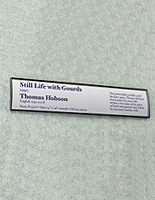 Simply attach the VHB adhesive to the back of the directional signage and press the design to the desired surface. 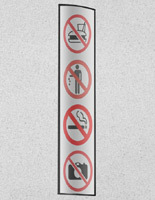 Wayfinding notices include a suction cup for conveniently removing the protective lens. 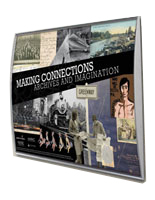 Once the front is lifted, slide the content into the holder. 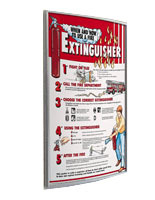 Insert the lens back onto the posters to prevent glare and potential damage. 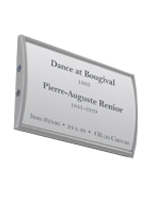 Users can install new signage without removing the units from the wall. 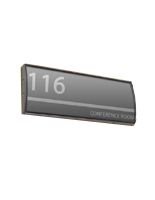 Prevent clients from wandering the busy hall in the heavily trafficked areas by including the directional systems in the facility.